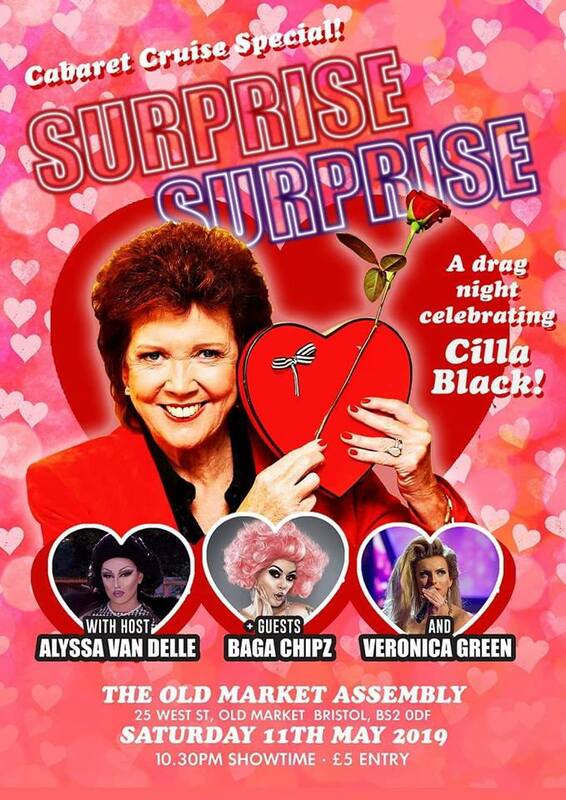 Cabaret Cruise Presents SUPRISE SURPRISE!! 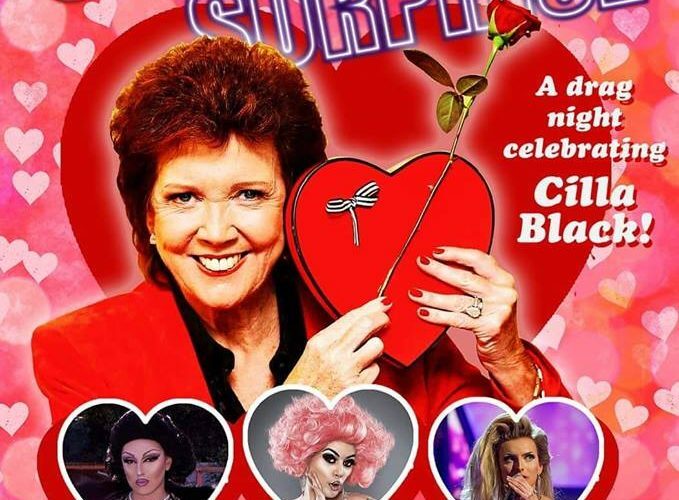 Wig in a Box Promotions are proud to bring to you a very special one-off edition of Cabaret Cruise, celebrating Liverpool’s finest, British music amd television legend, CILLA BLACK!! Taking to the stage, we’ll have Bristol’s very own Alyssa Van Delle joined by Baga Chipz Mbe and Veronica Green for a full night of cabaret! !